What Inspired The Accidental Activist? I was asked this question at the Book Review site: Rainy Days & Mondays and want to share my response with you. Every novel I write begins with a personal catalyst. The Accidental Activist was inspired by a chance meeting with an old friend from my childhood in England, who I met in the desert in the Middle East, and that I wrote about here in the US. I was a tour guide and the group leader turned out to have attended a youth center I had worked at in London, ten years before. He remembered how passionate I was about grassroots activism. “I’ve been working on something you have to see,” he said, whipping out his laptop and bringing up a website. 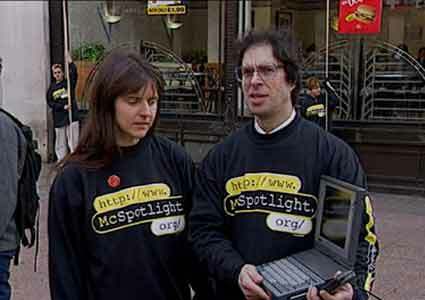 I was enthralled, since in the early ’90’s, both a laptop and a website were cutting edge! But this guy had something more important to show me. He explained how a multinational corporation (McDonald’s) was suing two friends of his for distributing leaflets highlighting many of McDonald’s’ practices. There was no legal aid for libel (this has changed now because of this case) and so they were defending themselves. This guy and some friends had built a website to help garner support and information. I was fascinated. At that time, I used the Internet to write emails and get soccer results (I am British). I didn’t know then of the potential the Internet had. 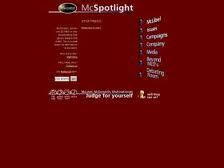 Few people did, McSpotlight.org was, I believe, the first interactive advocacy website. As word spread, the website began to receive evidence from as far as experts working in the rainforests in South America and trade unionists in Australia. I was fascinated by the impact of the Internet as a tool for social change. As the case unfolded, a number of amazing incidents that highlight the behavior of multinational corporations kept my attention. I won’t mention them here because they are in my book. I became intrigued by the transformation of a number of individuals impacted by the case. I decided to write a fictional account, not for the sensationalism because almost everything in the book is based upon something that really happened, but because I wanted to highlight the role of the website and the role of an empowered individual. Most of us can identify with my protagonist, Matt. He is the guy you work with, have a drink with and watch the football games with. But he is also a guy who is personally affronted by the bullying tactics of big business when it challenges a close friend, and he is galvanized into action when he discovers he has the skills to fight back. I loved writing The Accidental Activist because I was excited by the court case, the potential of the Internet and eventually the trials and tribulations of my characters, who became good friends. But I have also become enthralled by the idea of Transformational Fiction, where ordinary people are drawn into fighting a social injustice and in doing so experience a life-shifting internal change. Using the form of novels enable me to try and inspire, not though political speeches, but identifying with characters who are similar to you and me. 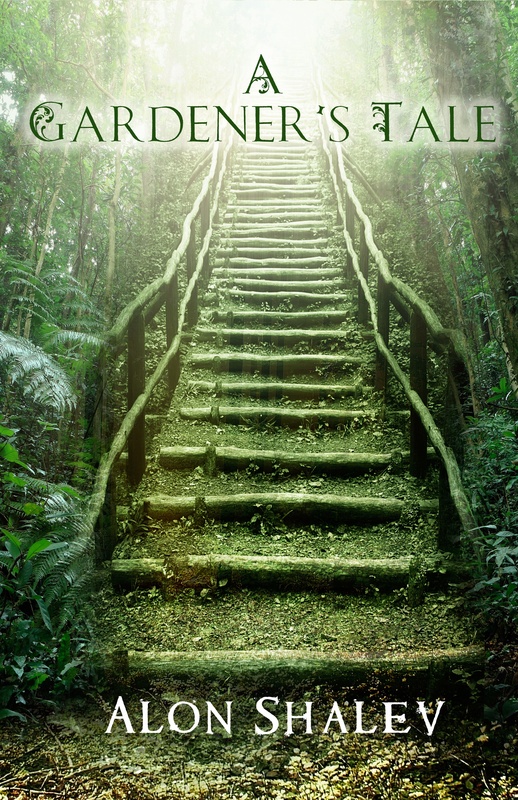 I have written three other manuscripts and, in each, the protagonist goes through a transformative process. In A Gardener’s Tale, the protagonist helps a young outcast become a meaningful and respected member of the community. In The Accidental Activist, as mentioned, a self absorbed computer programmer takes up the struggle against a multinational corporation who is trying to silence protestors in order to get laid (well kind of), but discovers he can harness his talents to help improve the world. Unwanted Heroes will be released in the spring of 2012 and tells the story of a young man who befriends a mentally disturbed war veteran and uses his talents to help the old man come to terms with his past and rebuild his life. I never consciously wrote these novels with this common theme until The Accidental Activist was being critiqued. But now I feel very comfortable and inspired to follow this path. And if it can inspire a few readers along the way, I will feel I am doing my part in creating a better world.